Soon to be Fiji Airways Air Pacific is now carrying out an investigation into the shark fin cargo saga. Hong Kong Shark foundation director Alex Hofford in an article published by the South China Morning Post, has alleged that they were suspicious about the national carrier transporting shark fins after Secretary for Transport and Housing Professor Anthony Cheung Bing-leung while welcoming the new Airbus in Hong Kong said only 45 tonnes of cargo were carried between Hong Kong and Fiji in 2009 however by the end of last year, the cargo volume was close to 1000 tonnes. 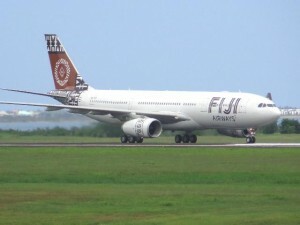 Hofford alleged that their suspicions were confirmed after a group of pilots familiar with Air Pacific’s operations told him the new Airbus was “basically a thinly-disguised freighter” carrying shark fins to the territory from Pacific islands, which use Fiji as a trade hub. Air Pacific’s spokesman Shane Hussein said the article grossly over exaggerates the situation and is thus misleading. “We have acknowledged the concerns raised and are looking into the situation,” Hussein told Fiji media.